The pod disappeared for several days — and when it resurfaced Tahlequah was still holding on. Update: On August 12, after 17 days and 1,000 miles of carrying her dead calf, Tahlequah finally let go. The world has been watching a family of orcas living off the coast of the Pacific Northwest recently because of one mother orca's remarkable display of grief after her newborn calf died in late July. 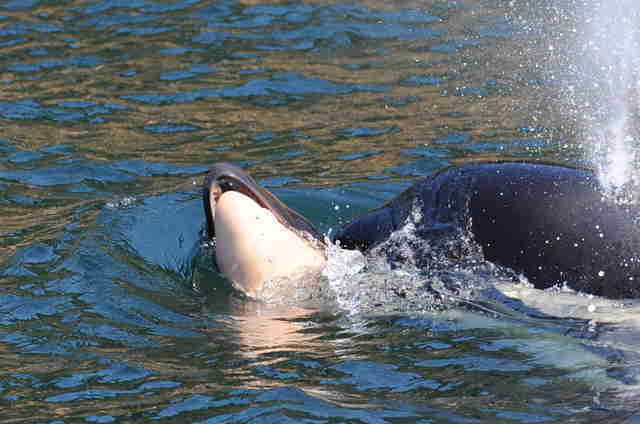 And when the pod couldn't be located on Saturday, many people feared for Tahlequah (J35), the grieving mother, and Scarlet (J50), another ailing young orca in J Pod. 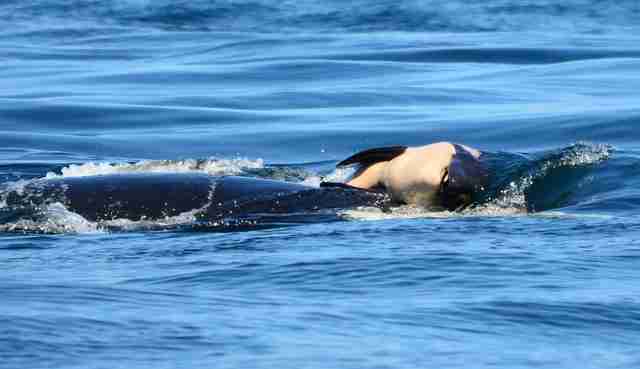 Tahlequah had given birth to a calf on July 24 who died just a half hour after being born, and Tahlequah kept diving beneath the body to keep it from sinking to the bottom of the Salish Sea. She did this for longer than anyone has ever observed. Scarlet, meanwhile, could be the next orca the family loses — in recent weeks she has acquired "peanut-head syndrome," something that happens when orcas are undernourished. 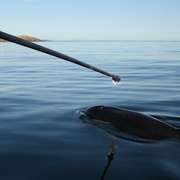 The National Oceanic and Atmospheric Administration (NOAA) began formulating a plan to rescue Scarlet by giving her fresh salmon. When no one could find the pod for several days, people started to get very worried. Thankfully, on Wednesday, the pod resurfaced. By the time people spotted J Pod again, they saw that Scarlet was still alive — and Tahlequah was still carrying her calf's body after an astounding two weeks, refusing to let go. "Tahlequah's prolonged grieving is beyond anything I expected," Barbara J. King, professor of anthropology at the College of William & Mary and author of "How Animals Grieve," told The Dodo on Thursday. "In animal grieving [there are] some individuals who are more and others who are less resilient in recovering from loss. I worry terribly for her mental state." 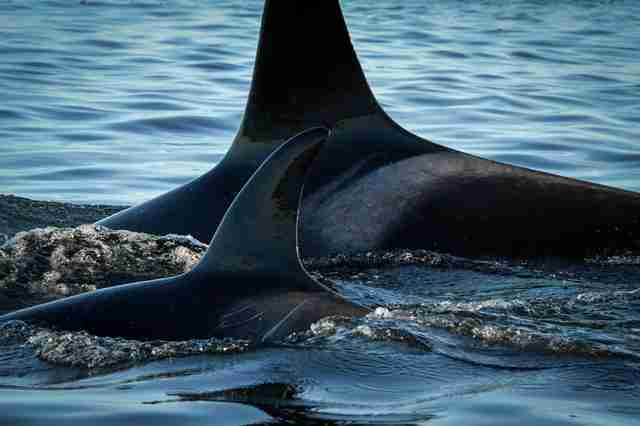 The endangered southern resident killer whales (SRKW) are in danger because of environmental changes — like damming up rivers — that have cut off their food supply. Just 75 of these orcas are left, and even the type of salmon they normally eat, chinook salmon, is now considered endangered. 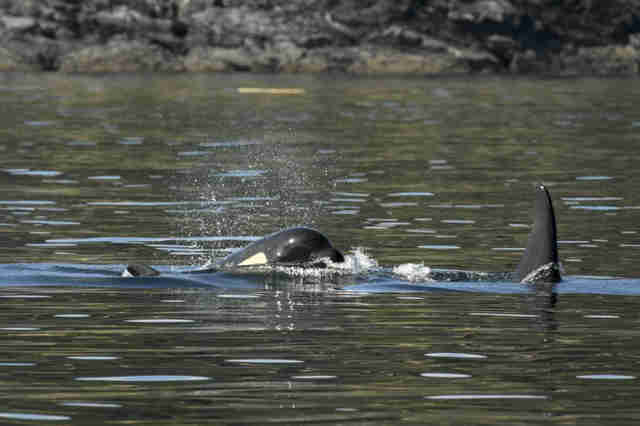 Because the orcas are weak, it has been three years since the SRKWs have been able to produce a healthy baby. If this trend continues, this could be the beginning of the end of this family. Tahlequah and Scarlet's stories have helped highlight the need to do something quickly to help these pods survive. King believes it's not too late to help them: "The best way to help is to push for lowering the orcas' great stresses by moving forward quickly with environmental measures like dam breaching, and fighting pollution and overfishing," she said.